KATHMANDU, June 28:The second round local elections were conducted enthusiastically on Wednesday in the 334 local units of Provinces 1, 5 and 7, bringing even some leaders of the poll-opposing political parties into the election process. The Election Commission (EC) said the polls remained largely peaceful, with a few sporadic incidents of poll violence. Security personnel including from the Nepal Army were quick to defuse IEDs planted to create terror among voters. Defying the odds including threats from poll-opposing parties and torrential rain, voters reached the polling centers early in the morning. “Except for the postponement of elections at two polling booths at Pandu Secondary School in Bajhang, the elections concluded peacefully. 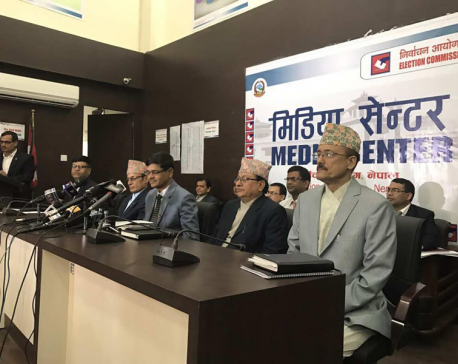 People voted with joy,” Chief Election Commissioner Ayodhee Prasad Yadav said at a press conference organized at the EC after the voting was over. According to preliminary details provided by the EC, voter turnout was 70.5 percent. The highest voter turnout was recorded in Bajura. Eighty percent of the eligible voters cast heir ballots in Bajura, while the lowest turnout (61 percent) was recorded in Bhojpur. The second phase turnout is slightly less compared to 73 percent in the first round. Election commissioners, however, expect the turnout to reach as high as previously once final details come in from the districts. Voters lined up since before the polling centers opened. Voting continued at some polling centers till evening. “People were casting their votes at Shiksha Sadan Secondary school till 8 pm,” said former chief election commissioner Neel Kantha Upreti, who was deployed in the eastern region as a special observer. Poll observers deployed in various parts of the country said voter turnout was relatively good in all the constituencies. People came to vote leaving behind their paddy plantings and other important work. Rupandenhi, Nawalparasi, Morang and Sunsari in the southern plains, which are seen as a stronghold of poll-opposing Rastriya Janata Party (RJPN), witnessed above 70 percent voter turnout. 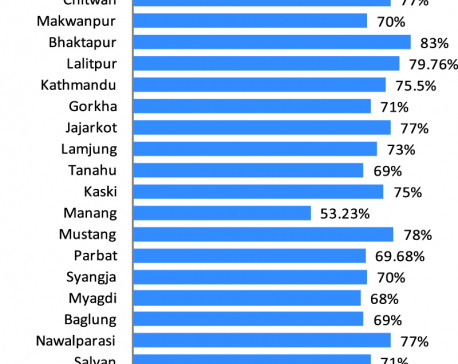 “Voter turnout in Morang and Sunsari is above 70 percent. Observing these districts, I wonder why the government postponed elections in Province 2. Elections were possible in all the districts,” said former CEC Uprety. Although the RJPN had publicly threatened to oppose the elections, the party has field candidates in some 20 local units as independents. Voter turnout in Rupandehi was 75 percent. 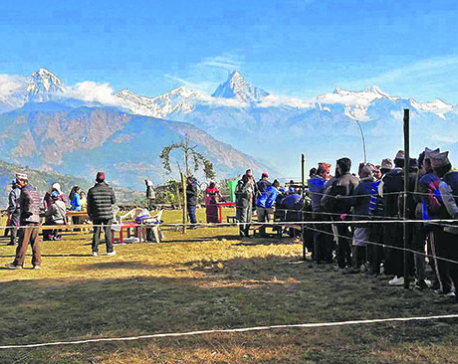 Locals of Thabang in Rolpa, who had not voted in any election other than the 2008 Constituent Assembly polls, also participated in the election this time. Immediately after the voting, poll workers started transporting the ballot boxes to the headquarters of the local units, where counting centers have been set up. Poll workers remained busy till late evening transporting the ballot boxes. 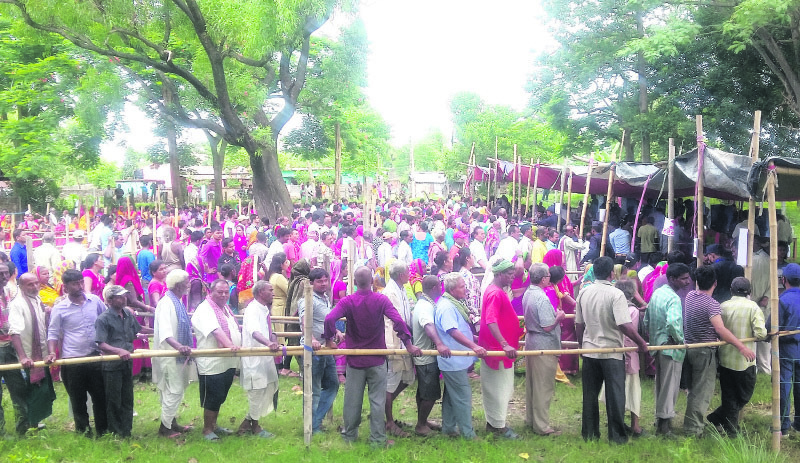 Poll officers in the districts have been asked to begin the vote count after holding an all-party meeting to finalize the counting procedures and reach an understanding among them. “They can begin the counting as per their convenience,” said CEC Yadav. Altogether 62,408 contestants are contesting 15,038 positions at 334 local units in the second phase local polls. The govenrment conducted the first phase elections in the 283 local units of Provinces 3, 4 and 6 on May 14. The election in Province 2 is set for September 18.